Welcome to Logs4Sale! Now in our 13th year of supplying Quality, Seasoned Firewood Logs! 'Quality' and 'Seasoned' are the key words here and are the foundation for our business. We do not supply green or part seasoned wood unless under prior arrangement by which you have chosen to store and season it yourself! So, if you are fed up with trying to burn poor quality, wet logs, please view the information on our site for confidence in the firewood we offer. The logs that we are preparing to supply this winter were cut prior to December 2017 and have been left to season in a prime location at our wood yard near Buntingford, Hertfordshire, over the past 10 - 12 months. The location of our wood yard now makes us ideally placed to serve local areas such as Royston, Stevenage, Hertford, Letchworth and Baldock along with surrounding villages. Please check out our Delivery Range for a full list of areas covered. 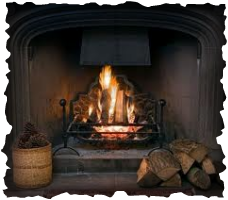 Also look at our information page on Wood Fuel to discover for yourself why high quality, seasoned wood is the only kind of wood to burn! Our logs are typically supplied in mixed bags or loads but we can accommodate individual requests. Please see About Our Wood for more information. Alternatively, jump straight to Load Sizes & Prices to see the value we offer on the quality seasoned firewood we are proud to supply across Hertfordshire! ​We are also pleased to be introducing a range of natural firelighters to go with our established firewood and kindling. 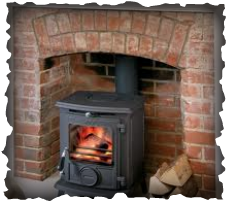 We aim to be your 'one stop shop' for open fire and wood burning stove requirements! Read more on our Load Sizes & Prices page.